I try to deny it all the time, but I am wreath obsessed. 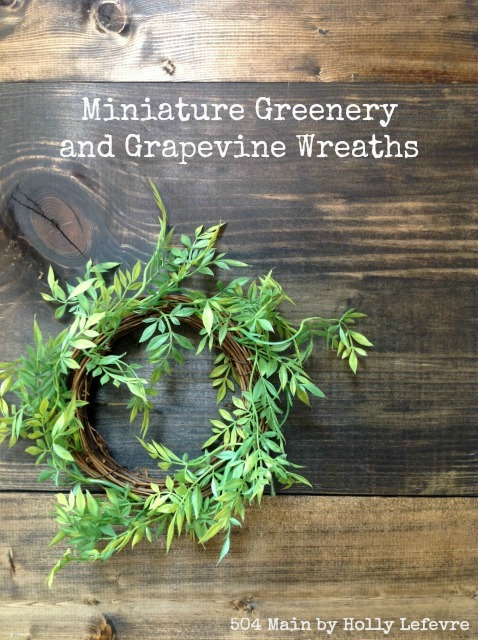 My latest wreath crush is on miniature versions of this home decor favorite. I have made versions to use on signs and mostly to add a little touch of Spring greenery around the house. They are great to use on mantles, in vignettes, on tablescapes - pretty much anywhere. 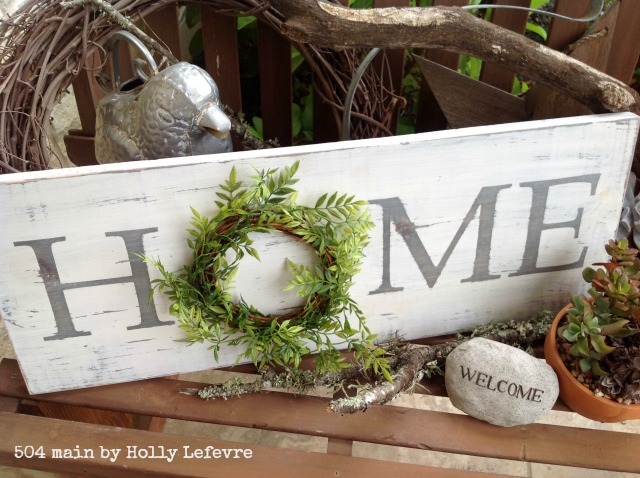 And they are inexpensive and simple to make! This project is simple and goes quickly. After making 1 or 2, I was able to make a wreath in less than 5 minutes. Greenery. Mine is from Michaels Garden Collection, Bush. It is $14.99 per bunch...BUT I made 6 wreath from one bunch..and of course use a coupon for 40% off! Stem wire of floral wire. (I wanted a brown, thin wire but they did not have any so I used a green wrapped wire) AND great scissors or wire cutters. 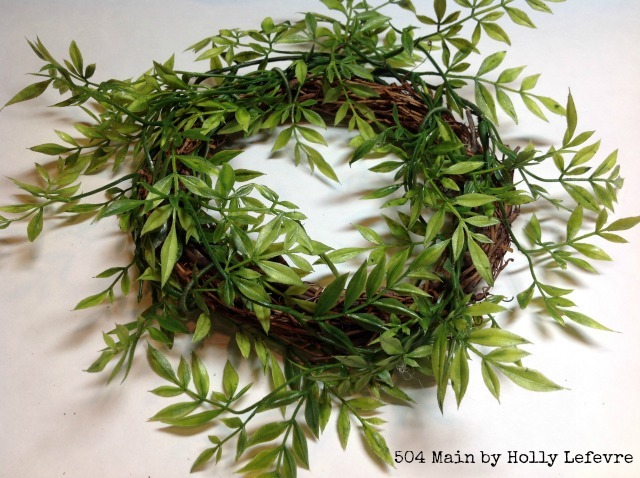 NOTE: I have made these wreath with hot glue and with wire. Either works. You need to be careful with the hot glue because it will show. 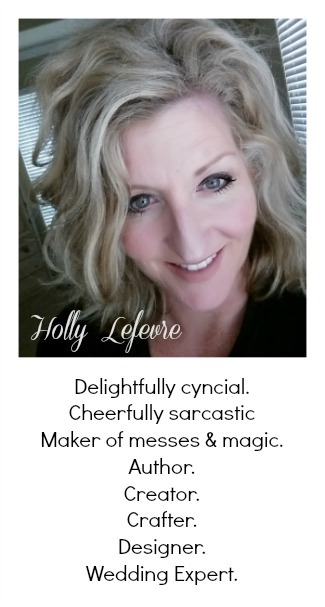 The wire may show too but tends to blend in better. I use wire only now. 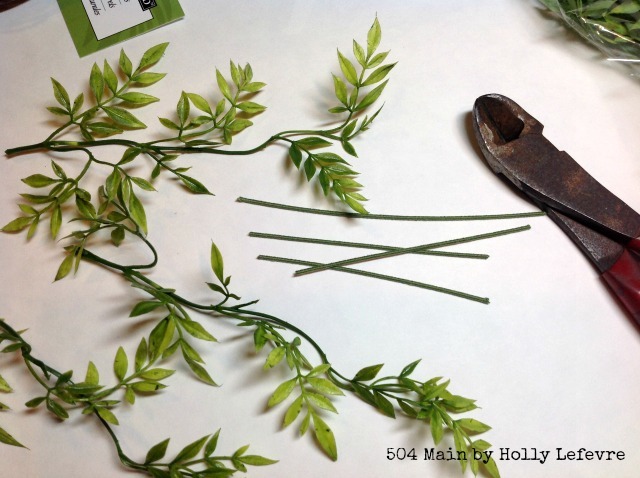 Cut the floral wire into 3" pieces. 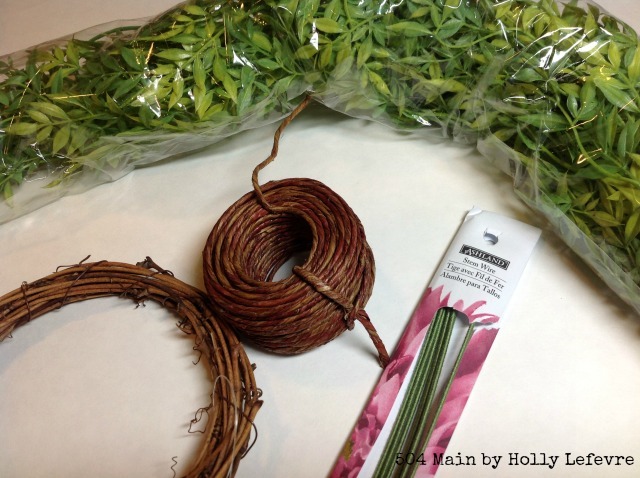 (Or is using the thinner green floral wire - see note in supplies - keep long lengths so you can just wrap it around, adding greenery, until you are finished. Really push those ends though, all the way to the back if you can. 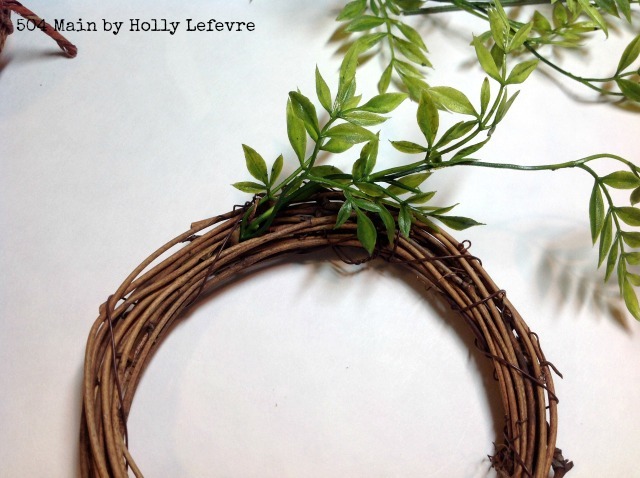 Your wreath should look like this. 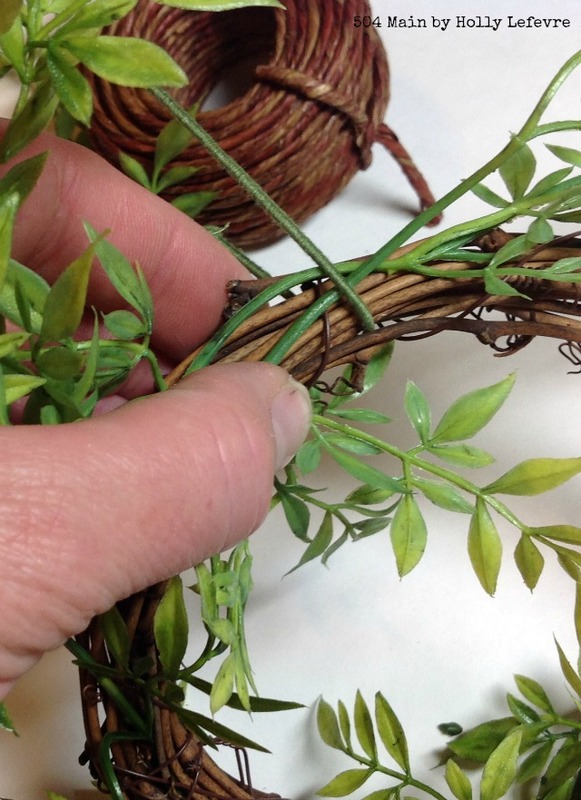 Now, going clockwise, move around the wreath, looking for areas where stems of 2 different stems meet. 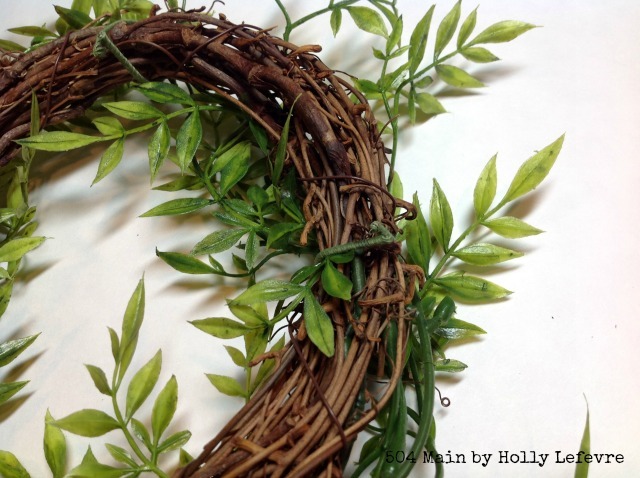 When you see that wrap a section of wire around, being sure to make the twist of the wire on the back of the wreath. In some areas I was even able to poke the wire through the crevices in the wreath for extra security. Twist the ends of the wire together, making sure the twist is on the backside. Trim/Snip off excess wire if necessary. EDIT: If using the thinner floralwire, just keep wrapping and secure the ends together when you are finished. 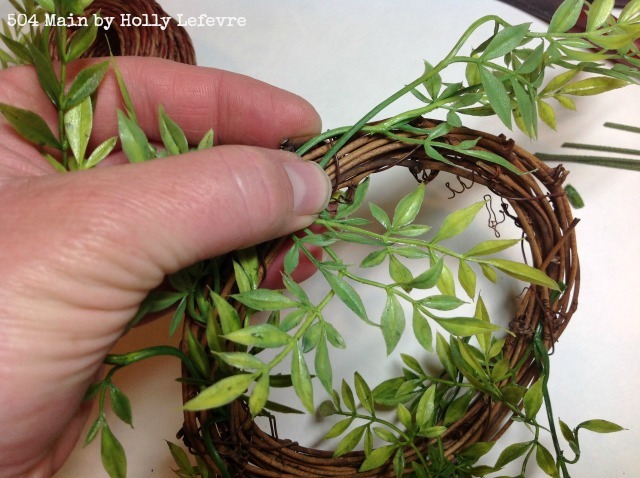 Continue adding greenery and (wrapping) wire all around the wreath until the greenery is arranged as you like it and secured to the wreath form. Now aren't these so pretty? They make a great accent to your homes decor and you can dress them up too! 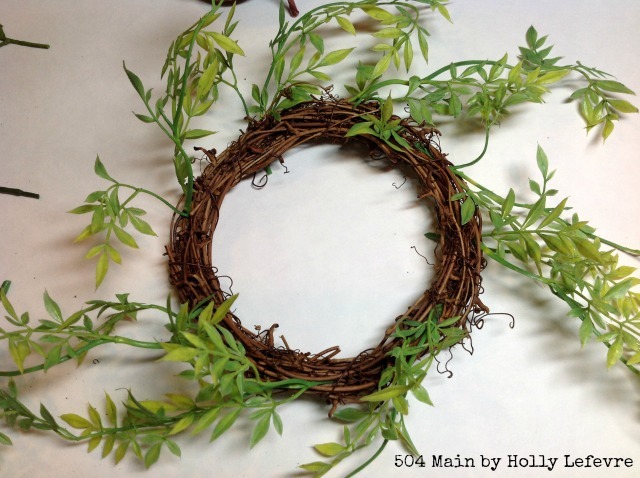 Of course this same method works for a bigger wreath too! 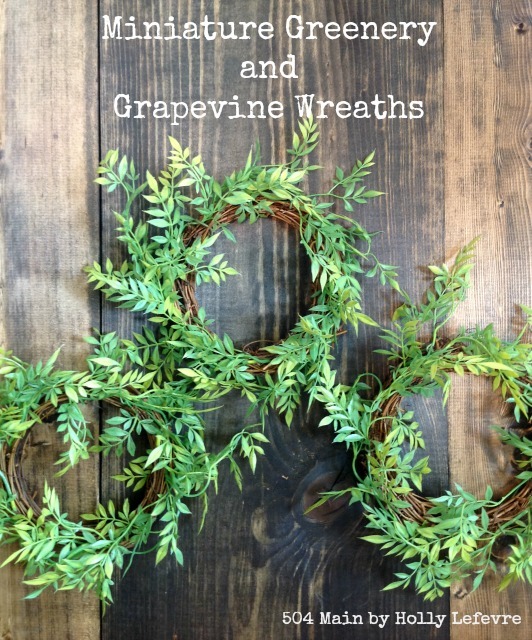 YOu can make these wreaths fuller, thinner or switch up the greenery for a new look...they are really easy and inexpensive to make! 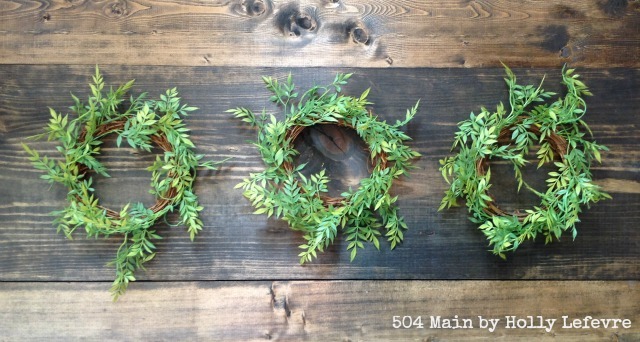 Now, come back soon...I'll show you how I made this signs using these miniature wreaths!